Slideshow: A 190E not easily forgotten. 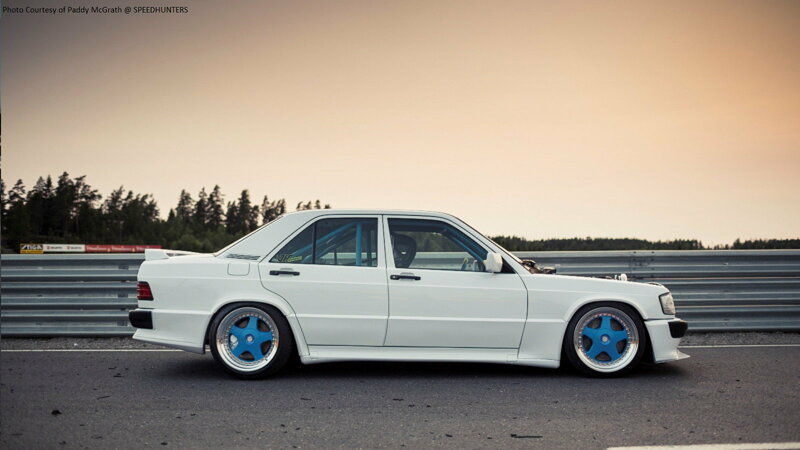 Alexander Lindquist may only be 22 years old with minimal mechanical experience under his belt, but he is quickly becoming accustomed to fabrication and various vehicular modifications as shown in his Mercedes 190E. While the build may still only be in its infancy, Alex was able to put the car together in time to show it off at the Gatebil event. Needless to say, Alex's Merc definitely turned some heads not only for its subtle exterior styling but also because of a colossal turbo hogging a healthy portion of the engine bay. Alex acquired his 190E late September 2017 as a project car. By the sound of it, the car was in pretty bad shape when he began working on it as the body was rusted through in several places and still had its original, albeit tired, M102.910 4-cylinder making a measly 107 horsepower. While many may have scoffed at this old piece of German gelump, Alex wanted to breathe new life into what is quickly becoming a classic Benz. 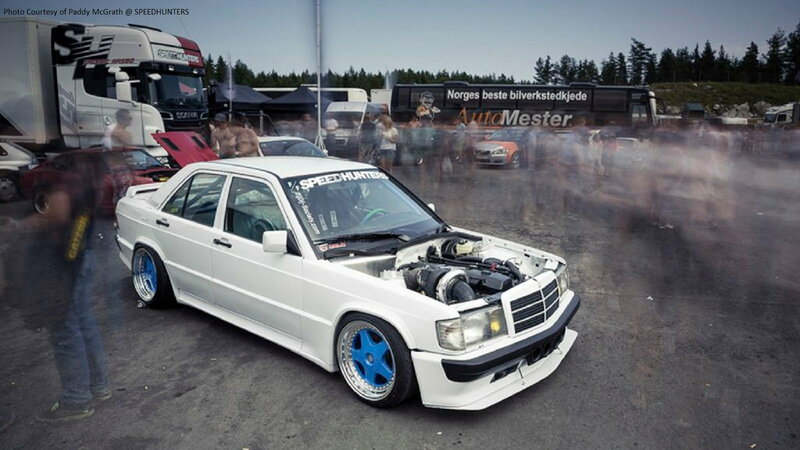 >>Join the conversation about this turbo 190E right here in MBWorld. The stock four-banger was simply not going to cut it, so Alex went out and found a Mercedes M103 103.980 3.0L straight-six engine to swap in. This engine was good for about 180 horsepower in stock guise, but big plans were in store to extract loads of horsepower. In his first engine build, Alex would keep the stock bottom-end in place, but have the cylinder head ported and upgraded with beefier valve springs. He then modified the intake manifold to accept 1680cc Bosch injectors on a custom fuel rail fed by twin KL Racing 044 fuel pumps. With that sweet boost in mind, fueling was obviously at the forefront. Alex opted for a massive Holset HX52 turbocharger unit to provide some boost to the beast. 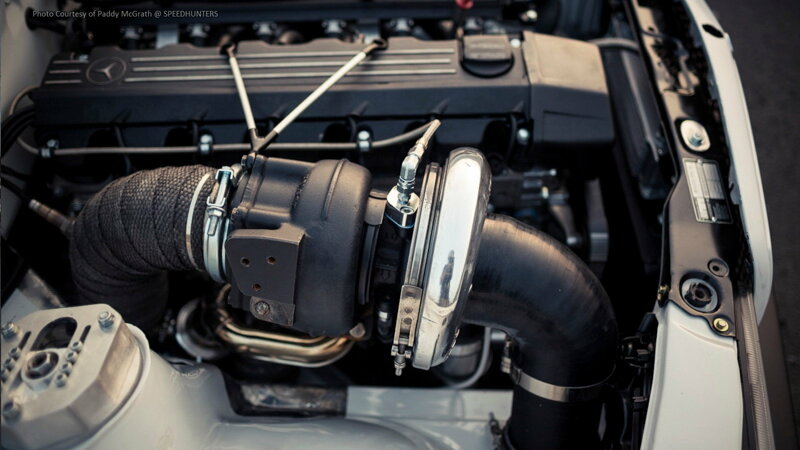 In order to combat high intake temperatures, a custom 500x350x76mm intercooler with 3" piping was fabbed. Alex turned to Turbobandit for one of their stainless exhaust manifolds that runs into a 4" downpipe and out through a 3.5" exhaust pipe. The engine is running on E85 and is controlled by a VEMS engine management system. Final tuning is still in order, but Alex expects nothing less than 700 horsepower when all is said and done. 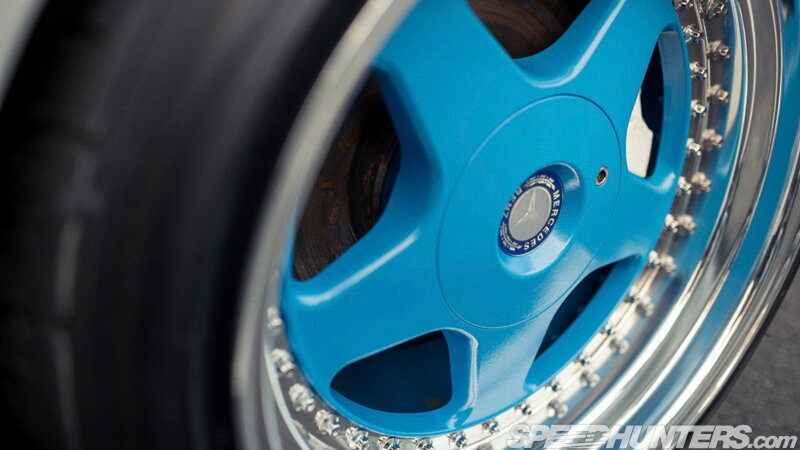 The drivetrain has been reinforced with improved components, but everything remains fully Mercedes. A built Getrag 707.404 (out of an 86 190E 2.3 16V) dog-leg 5-speed with a lightened & balanced flywheel and Sachs 765 pressure plate with a 4-puck sintered clutch transfers engine power to an ASD locking differential out of a W124 Benz with 16-valve ASD driveshafts. Also worth mentioning is the innovative rear-mounted radiator with a 16" cooling fan out back to keep the car cool while keeping the engine bay looking clean. Increasing build costs would eventually see Alex sell his daily-driven BMW to fund the remainder of his 190E project. With big horsepower on tap, the suspension received a proper going through with Bilstein B9 shocks, shortened SL roadster (R129) springs and wheel hubs, adjustable camber plates, and strengthened anti-roll bars sourced from an A124 (front) and 190E 2.3 16v (rear). It's quite awesome how a variety of pieces from various Mercedes vehicles have all come together in one package. To bring out the lowered stance, a set of 3-piece OZ Futura wheels (17x9F/17x10.5R) were installed and perfectly fill the fender wells while also covering the Brembo 4-piston front calipers and ATE 2-pot rear units. The interior has been fully stripped of anything deemed unnecessary. 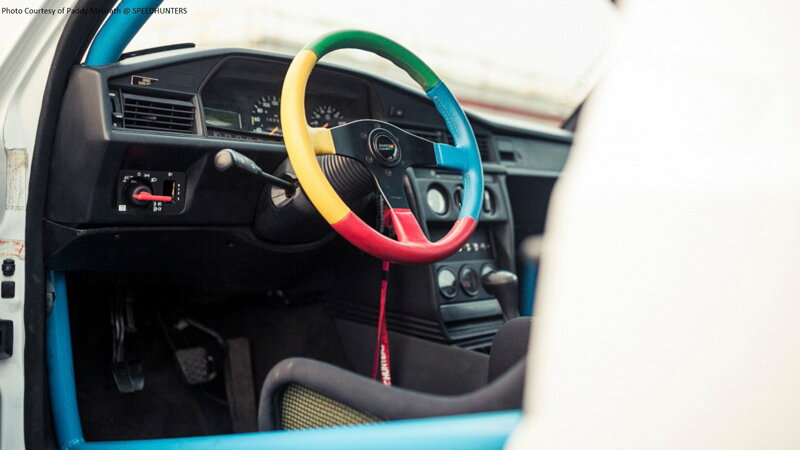 The cockpit features a period-correct Momo Benetton wheel and a lightweight Momo Corse Extreme carbon-kevlar fixed bucket seat with an STP 6-point racing harness. Although the car may not have seen the track this time out at Gatebil, it is only a matter of time before Alex is able to hammer down on his tricked-out 190E. That said, his car definitely caused a scene while on display as it screams of 90's nostalgia mixed with some insane amounts of modern go-fast components. Keep an eye out for this one!